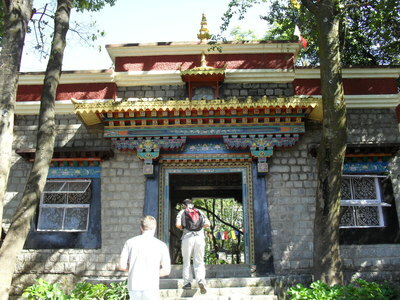 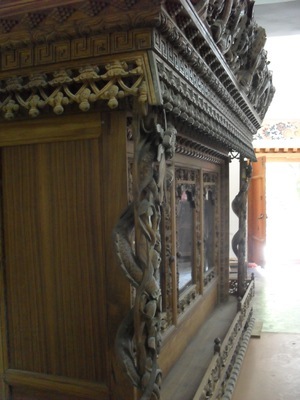 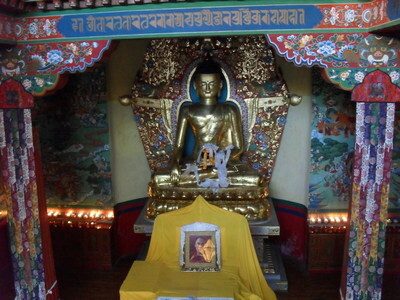 The Norbulingka institute in Dharamsala town is modelled on the Dalai Lama's old winter palace in Tibet. Building began in 1988 and the complex was opened in 1995 for visitors to take in the various handicrafts and artistic endeavours being undertaken on its grounds. 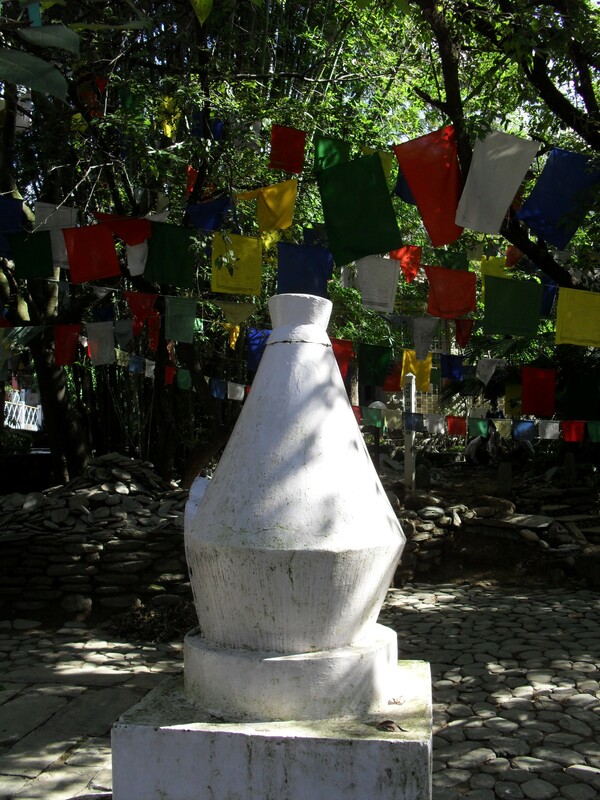 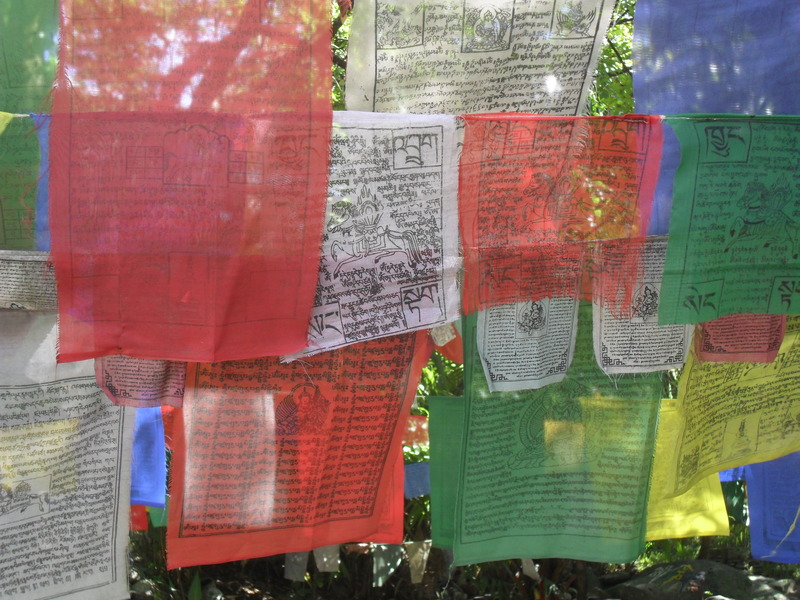 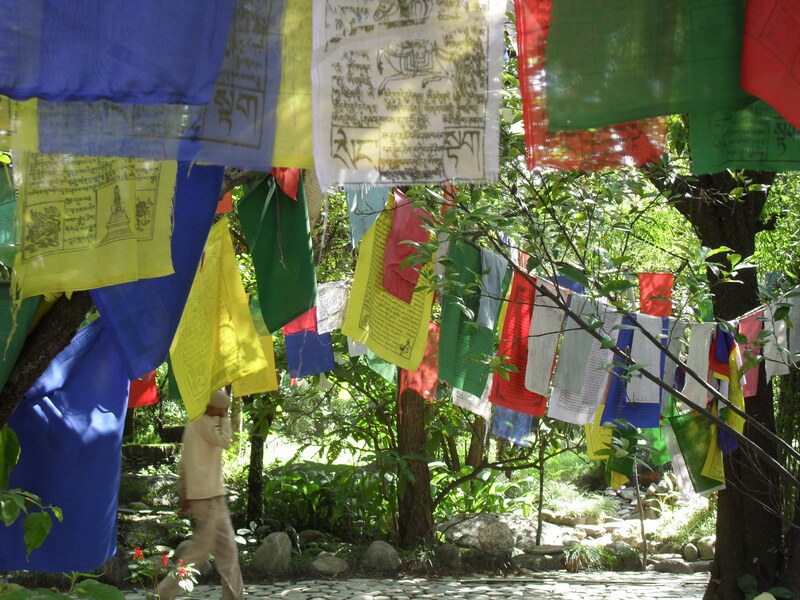 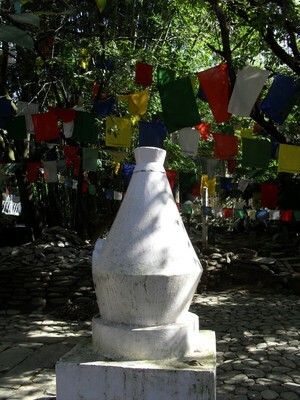 As you enter the gardens there are prayer flags strewn everywhere among the trees and holy stupas, blowing in the wind and offering their many blessings to the universe. 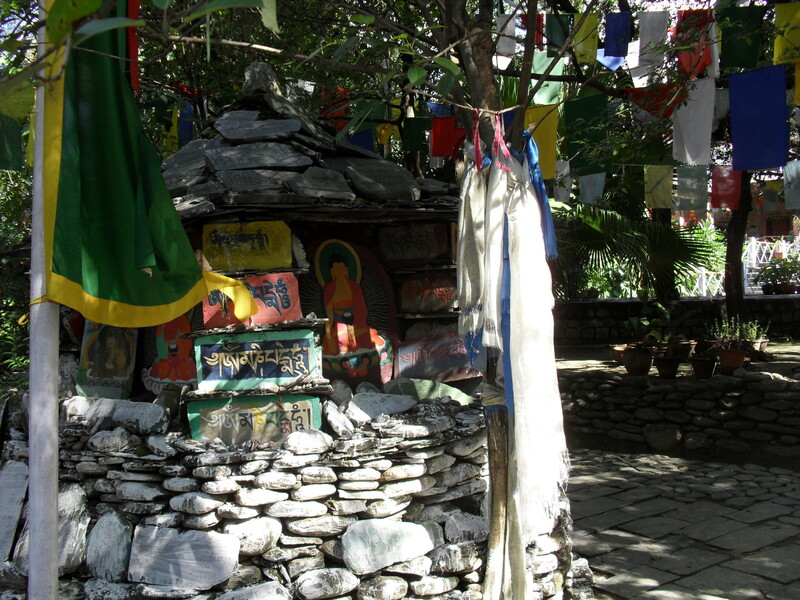 These stupas usually contain relics from great practitioners of Tibetan Buddhism and the tradition is that you should circumambulate or walk around them in a clockwise direction saying prayers or chanting mantras. 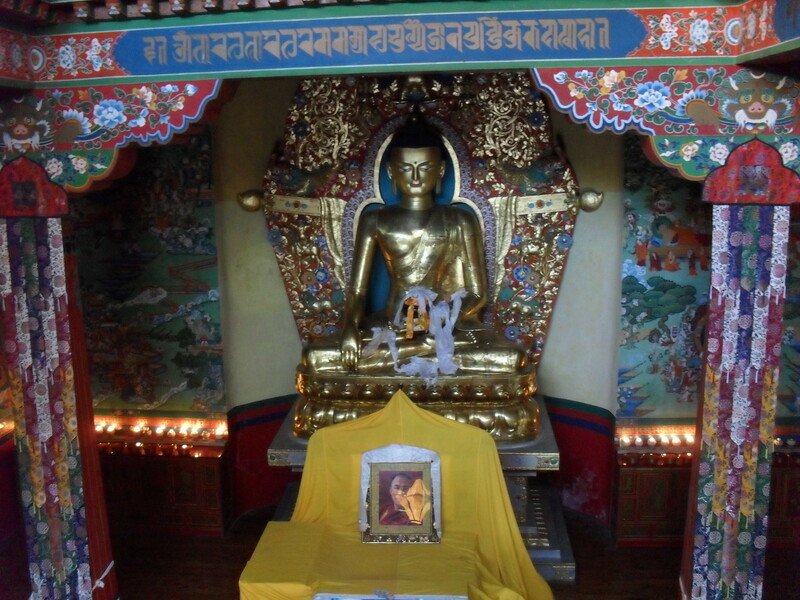 The images are of Tibetan deities such as Medicine Buddhas who all have a place in the rich pantheon of this strain of Buddhism. 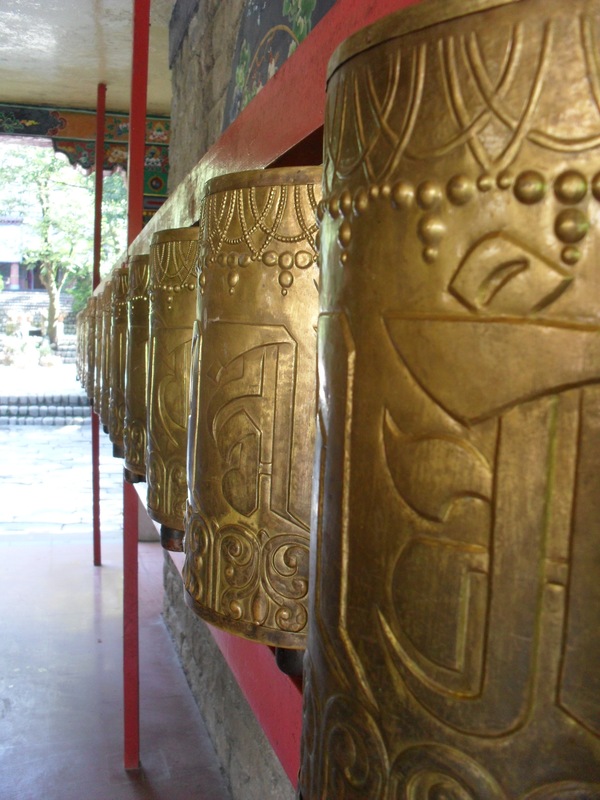 It is quite unlike other forms of Buddhism, such as Zen, which can be stripped down. The mixing of the local Bon religion with Buddhism in Tibet can explain some of the fantastical imagery. 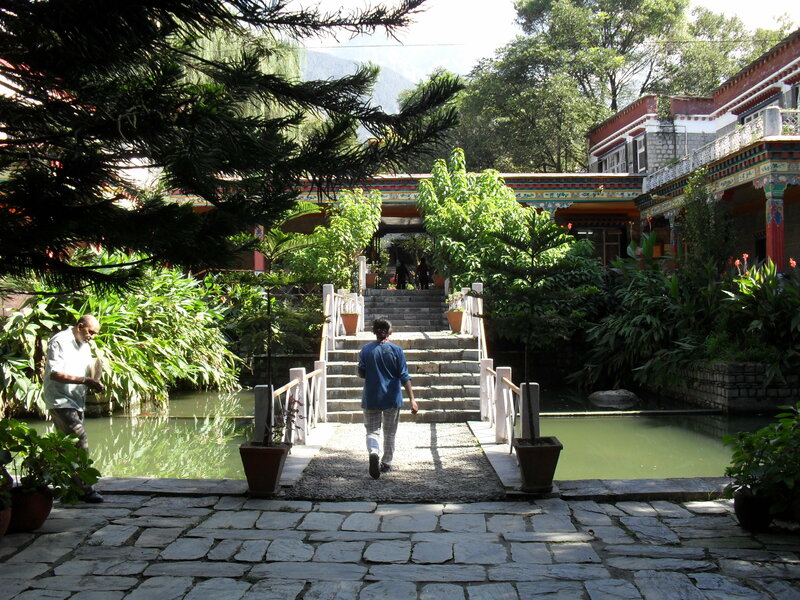 The gardens contain Japanese style water features and bridges and are a peaceful antidote to the bustling Indian city outside. 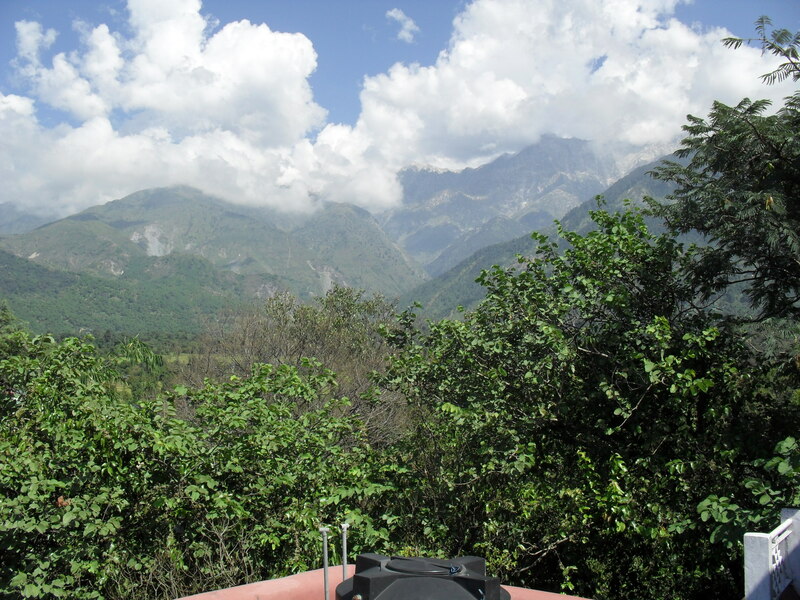 There are prayer Wheels to spin to send millions of Om Mani Padme Hum blessings to the universe. As you walk around there are many buildings where people are working on handicrafts from sculpture and wood carving through doll making to the extremely detailed and fantastic Thangka paintings which are highly stylised and typical of Tibetan Buddhism. 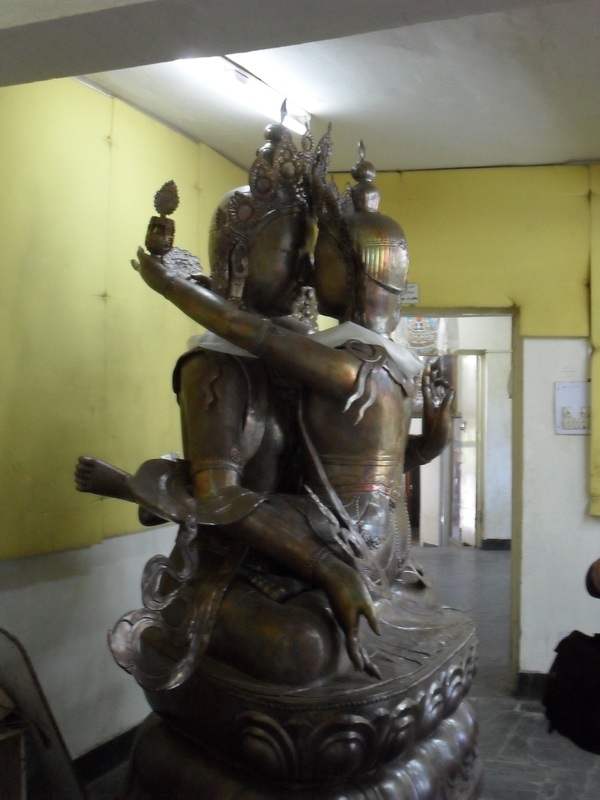 The main purpose of the Institute now is as a promoter of Tibetan artwork and culture and there is a large shop selling handicrafts of high quality although also of high price compared with what you can get in the market. 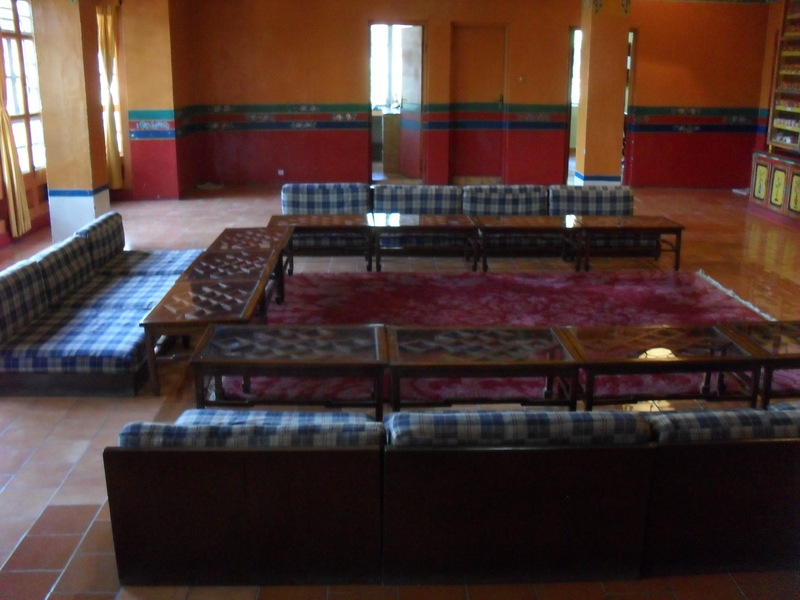 You can wander through the beautifully decorated temple rooms (or at least we could with our guide, Rabsel, from the LHA charity) and see the very simple bedroom that he sleeps in. From the roof top of this building you get a good view of the town and valleys around this amazing part of the country. 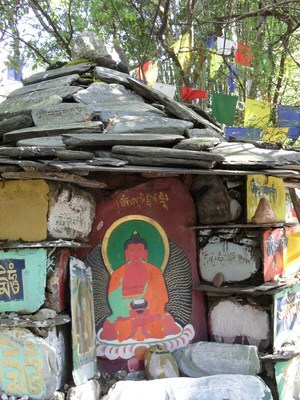 It is well worth a visit if you are in the area.